Now expanding in Davie, Quality Barber Shop is proud to announce the addition of Lazaro Cabezas, to its staff of experienced barbers. Formerly with Carl’s Barbershop of Davie and Weston, Lazaro brings over four decades of experience to an already qualified team of barbers. Taking what you love about the classic American barbershop and combing it with a level of service unmatched in the haircare industry, Quality Barber Shop has more competitive pricing than other local shops. Their strict focus is meeting the grooming needs of today’s man. From precision haircuts to hot lather shaves and grooming products exclusively for men, you will notice the Quality Barber Shop difference the moment you walk in the door. From the warm inviting decor to the old fashioned barber chairs, comfort is their primary concern. Their signature haircut is a real treat. For just $17, you will get a great haircut, hot lather neck shave and hot towel treatment. You can enjoy a great conversation with your barber or kick back and watch your favorite TV show while having your hair cut. Unmatched among local barber shops is the level of quality, service and value you will receive at Quality Barber Shop of Davie. Their service does not stop with the simple haircut. In addition to great haircuts, they offer a full-service hot leather shave which includes layers of hot towels, a professional shave, moisturizing treatment and facial massage. Quality Barber Shop also offers a complete line of men’s grooming products, including American Crew, Redken for Men, Jack Black, and Menscience. Walk-ins or reservations are available at Quality Barber Shop of Davie to accommodate any lifestyle. Their hours are 8 am – 7 pm Monday – Saturday and 10 am – 4 pm on Sunday. 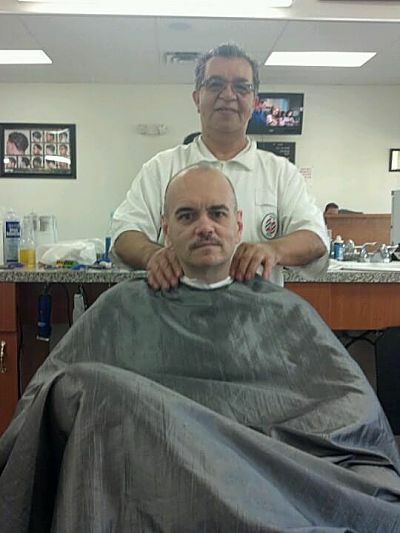 Quality Barber Shop is an independent store operated by Maikel Pinedo, formerly with Carl’s Barber Shop of Davie. Conveniently located at 11522 State Road 84, Davie, FL 33325, they serve clients within the Cooper City, Davie, Fort Lauderdale, Plantation and Weston communities. For additional information or to schedule an appointment, please call Quality Barber Shop at (954) 306-2332.